The summer heat is a mayfly’s anathema. Mayflies do not have mouthparts—they cannot ingest food or drink liquids. Any lengthy exposure to the hot summer sun will quickly do them in, as they will rapidly dehydrate and die. In response to the perils of the summer sun, the Ephoron genus of mayflies, aka the white flies, has drastically altered its hatch time. It has condensed all hatching activities into a less-than-two-hour affair in the late evening and after dark. Depending on the region, white fly hatches occur from late July to early September. With both duns and spinners on the water simultaneously, the trout rarely fail to respond, and the dry fly action can be intense. 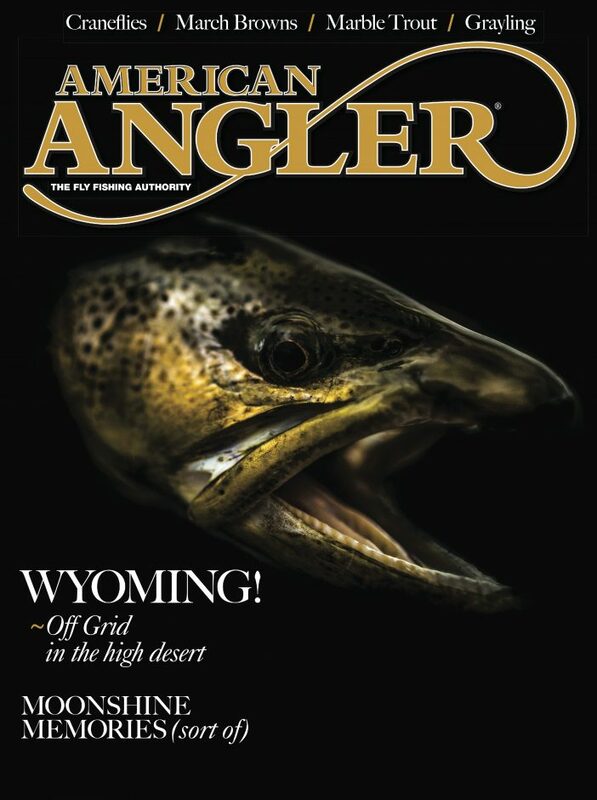 It’s a can’t-miss event for the dry fly addict. I’ve had trout noisily rising within two feet of me on many occasions. HOOKS: Tiemco 105, size 10 (thorax); Tiemco 200R, size 14 (abdomen). After tying the abdomen, cut the hook bend off and connect it to the thorax with gold wire. TAIL: Light gray ostrich herl. ABDOMEN: White and medium gray rabbit dubbing blended with white Antron dubbing and picked out on the side to simulate gills. OVERLAY: A thin strip of tan Furry Foam. THORAX: Mixture of white and medium gray rabbit dubbing. WING CASE: Light tan Chuck Furimsky Bugskin colored with a brown Sharpie. LEGS: Light tan hen hackle tips. Ephoron nymphs belong to the group of mayfly nymphs known as burrowers. Measuring from 16 to 30 millimeters long, they sport cylindrically shaped bodies with three short, fringed tails, grayish-white abdomens, and thoraxes that are matched with light tannish-gray legs. Pronounced, fluffy gills are clearly evident on the abdomen. When the time-to-emerge bell rings, Ephoron nymphs exit their burrows en masse. In open water, they’re easy pickings as they crawl along the bottom prior to their swim to the surface. On their way up, they awkwardly swim-wiggle in full view of trout; again, making them easy prey. My articulated white fly pattern is designed to imitate that motion, and it is the only white fly nymph I carry. It’s one of the more complicated patterns I tie, but has rarely failed to produce and is well worth the time it takes to tie it. The pattern was developed in response to one of my trips to fish the white fly hatch on the Yellow Breeches in South Central Pennsylvania. I’ve fished the hatch there many times, but one trip was the most memorable. By sheer happenstance, I ran into Ed Shenk in the parking lot as he was slipping into his hip boots in preparation to fish. While walking to the stream, I noticed he was carrying two very short rods. When I asked why two rods, he said the hatch was brief—less than two hours long—and the peak of the hatch occured in total darkness. To save time, he said, he carries two rods: one rod with a dry fly setup and the other with a nymphing rig. Not only was I surprised he carried two rods, but I was even more surprised he intended to fish a nymph. Reaching the spot he was about to fish, he stuck the dry fly rod inside in the back of his left hip boot, turned upstream, and cast his nymph into the head of a riffle. After catching and releasing more than a dozen trout—including a hefty, hook-jawed brown—he turned and left. His “high-stick” approach was straightforward: short line, short leader (less than eight feet) with the nymph bouncing on the bottom as it drifted downstream. Needless to say, on all my subsequent white fly encounters, Ed’s nymphing approach has been my primary option. But in lieu of two short rods, I’ve substituted a 10-foot-long 3-weight with an attachable flashlight.